Screen print your own set of postcards. 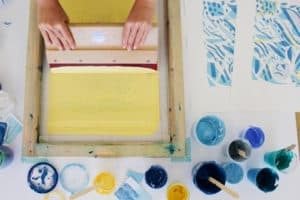 To celebrate the museum's 200th anniversary they are offering some exciting screen printing workshops hosted by print maker Dena O’Brien of Kiwi Printmaking Studio. You will create a colourful set of 5 postcard size screen prints to take home with pride. All materials are provided all you need to do is be prepared to have fun, learn to screen print and get inky!